This plat map shows the blocks and lots of Empire City and Galena, Kansas. It also shows street names, railroad lines, and the names of property owners. 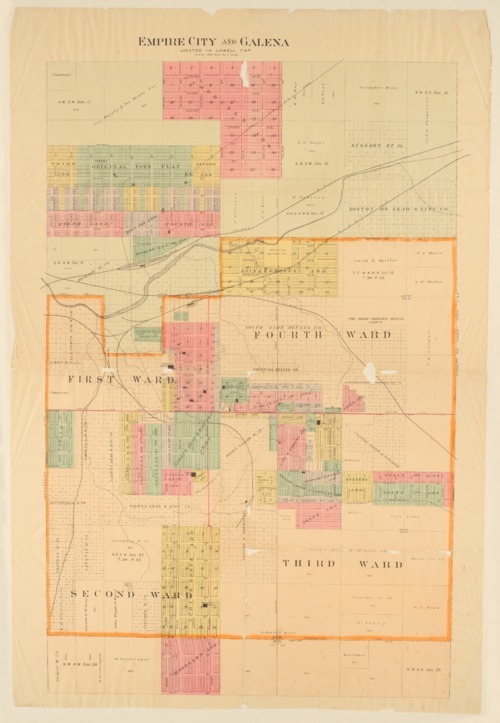 The map was published in the Plat Book of Cherokee County, Kansas in 1902 available as unit 209386.